Our first app is almost ready! 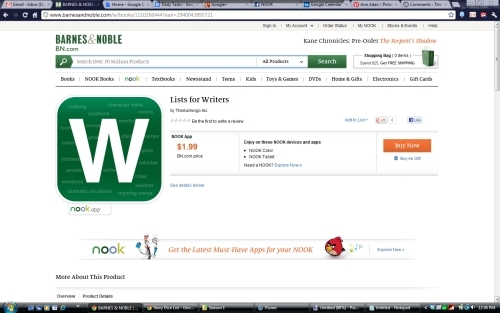 On this remarkable Leap Day, 2012, our first app, Lists for Writers, has been submitted to the iTunes store for review. We are very excited and can’t wait to share this writer’s tool with you! This has been an exciting journey from the very moment we decided to start our own business! We hope you enjoy our first app and many more to come!